We are quickly approaching the 57th Jamboree on the Air. This year’s JOTA takes place on October 18-19. 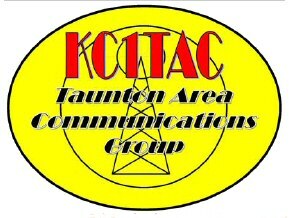 I am heading up a group of Hams and Scouts who will put some 300+ Cub Scouts from Annawon Council On the Air from Camp Norse in Kingston, MA We will operate KC1TAC at 9am-3pm Saturday October 18th, on 2Meters; local repeaters and across the HF bands. Our goal is to give the Cub Scouts a taste of Amateur Radio and have each Scout make at least one contact! Are you or do you know an Eastern Mass Repeater Trustee? Will they allow us to use their Repeater for JOTA contacts? Please let me know… I am making a spread sheet (attached) to share with other JOTA stations; Does the Repeater have Eco-link? Might your trustee change the station name (for the day) to read JOTA and Location? All info regarding the repeater is helpful; frequency, tone -/+. Might you like to help us at Camp Norse? Maybe you have a Special Skill you can demonstrate? Fox Hunter, Code, satellite… ANYTHING! Get back to me about your skill and willingness to help… It doesn’t take much. The Scouts are 1-5th graders and spend 2-8 mins with you then they will move to the next radio… The Day Flies By Quick. SHARE this email with your Club/Group/Troop/Pack/Crew! Spread the word! The more contacts we ALL make the better! The Scouts we show Amateur Radio to TODAY; will become our best contacts Tomorrow!